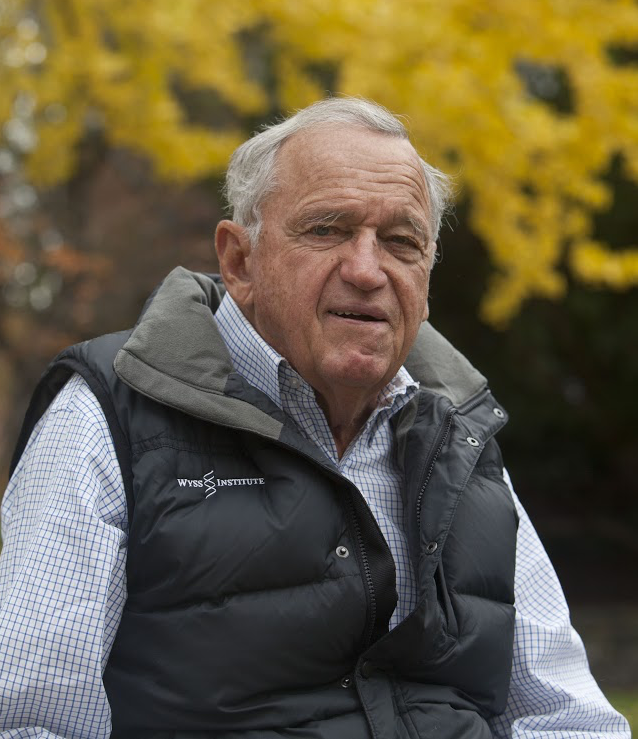 Hansjorg Wyss (sometimes spelled “Hansjoerg Wyss” and pronounced “Veese”) is a Swiss entrepreneur and businessman. He is the former CEO of multinational medical device manufacturer Synthes. Wyss’ net worth is estimated to be over $6.1 billion. Wyss is an active philanthropist, giving through his private foundation, the Wyss Foundation, which supports liberal civic and environmentalist projects. In addition, Wyss is a political supporter of center-left groups and politicians. Wyss was born in Bern, Switzerland in 1936. His father was a mechanical calculator salesman and his mother was a homemaker. Wyss grew up in an apartment with two sisters. At age 22, Wyss first visited the United States in 1958 as an exchange student. After gaining his engineering degree from the Swiss Federal Institute of Technology in Zurich in 1959, Wyss returned to the U.S., enrolling in the MBA program at Harvard University in 1963 and graduating in 1965. After graduation, Wyss served as a plant engineer and project manager for Chrysler in Pakistan, Turkey, and the Philippines. Wyss worked for a number of years for different companies, including Monsanto Europe. Wyss was the CEO of Synthes, a multinational medical device manufacturer that specializes in medical implants and biomaterials. Wyss’ first encounter with Synthes was made when he sold an airplane to one of the four Swiss doctors who had founded the company. Wyss would later become the founder and President of Synthes USA in 1974. During his time as CEO, Wyss played a key role in establishing the company’s presence and manufacturing capabilities in the U.S., but also the firm’s global expansion. In 2009, Synthes faced 52 felony counts stemming from allegations that it illegally experimented on patients, three of whom died. The alleged conduct occurred from 2001 to 2004, in which patients were injected with the company’s bone-cement product, Norian, despite the U.S. Food and Drug Administration’s refusal to approve the product. Four high-ranking executives pleaded guilty for the company’s crime of running unauthorized trials and promoting the product for unapproved uses, without conceding that they were involved in the crime. Wyss stepped down as CEO in 2007 to serve as chairman of the company. In 2012, he led the sale of Synthes to Johnson & Johnson for $20.2 billion in cash and stock. Wyss is an active philanthropist, giving to organizations that address the environment and social issues such as immigration reform, healthcare, economic opportunity, conflict resolution, and health and reproductive rights. In 2013, he took the Giving Pledge, committing to give half of his wealth to charity during his lifetime or in his will. Wyss has helped found many philanthropic organizations including the Wyss Foundation, which he currently serves as chairman. The Foundation has invested more than $175 million to “help communities, land trusts, and non-profit partners conserve nearly 14 million acres in the West for future generations.” A longtime resident of Wyoming, Wyss donated $4.25 million in 2013 to the Trust for Public Land to purchase oil and gas leases on 58,000 acres of land in Wyoming’s Hoback Basin to protect it from development. Wyss also donates to his alma mater, Harvard University, giving a record $125 million gift in 2009 – the largest individual philanthropic gift in the school’s history at the time – to establish the The Wyss Institute for Biologically Inspired Engineering at Harvard University. Wyss supports center-left candidates and organizations. The Federal Commission Records show contributions to left-leaning PAC groups such as the Wild PAC, White Cloud PAC, and League of Conservation Voters Action Fund. Wyss has also supported candidates such as former U.S. Senator Mark Udall (D-Colorado), former U.S. Representative Brian Baird (D-Washington), former Rep. Maurice Hinchey (D-N.Y.), Governor Jay Inslee (D-Washington), and former Rep. James Matheson (D-Utah).